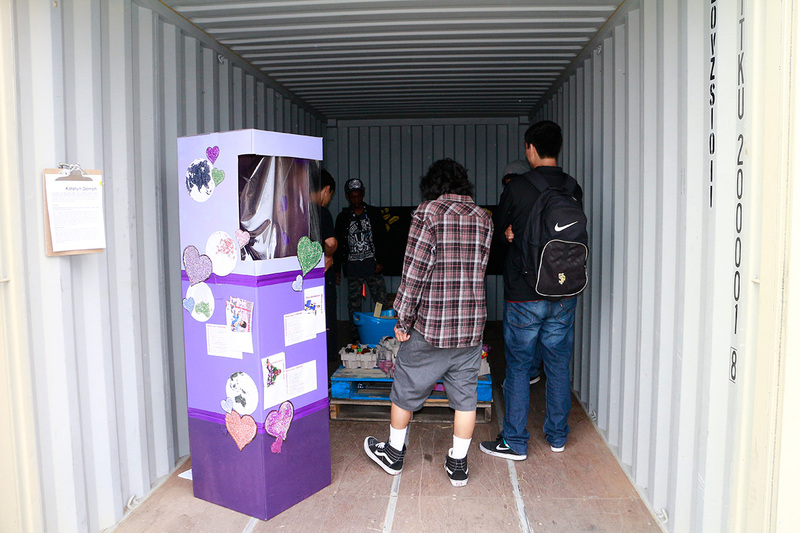 Artistic solutions, also known as creative referendums, developed by nine members of an Artist Team are framed within two cargo containers temporarily sited in Angels Gate Park overlooking the Port – an alluring metaphor given that some people smuggled into the US arrive in shipping containers. 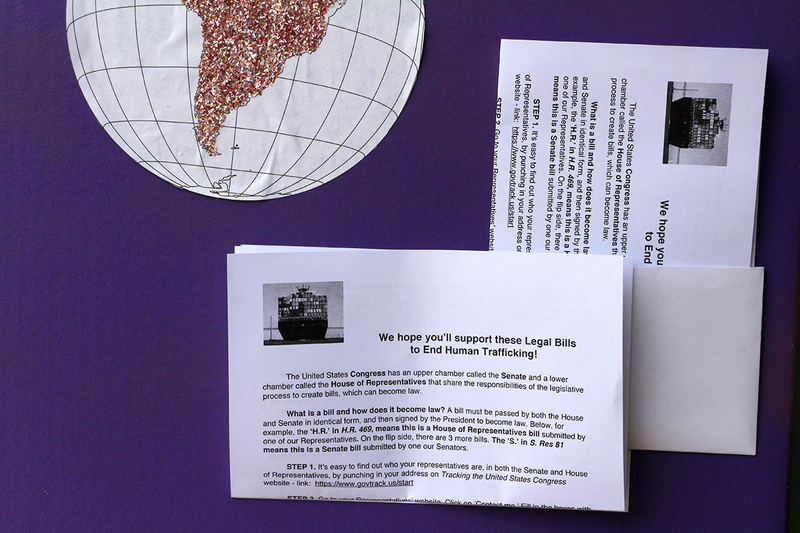 -postcards that invite the public to take-on suggested actions to interrupt trafficking. Become more thoughtful in purchasing habits. Seek out socially conscious companies. Human trafficking is the process of dehumanizing and converting a human being into a commodity, as well as the willful denial of trafficking in the eyes of consumers who fuel the act with their purchases. Dorroh explores these two characteristics in this mixed media artwork. 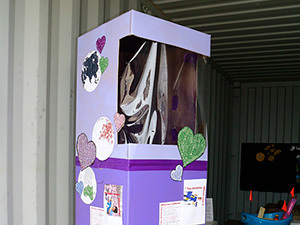 A large, life-sized cardboard box has a variety of design elements and fonts that allude to commercial text. 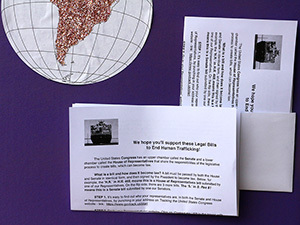 Dorroh includes warning labels, content that may educate the viewer, as well as information about what viewers can actually do about trafficking. 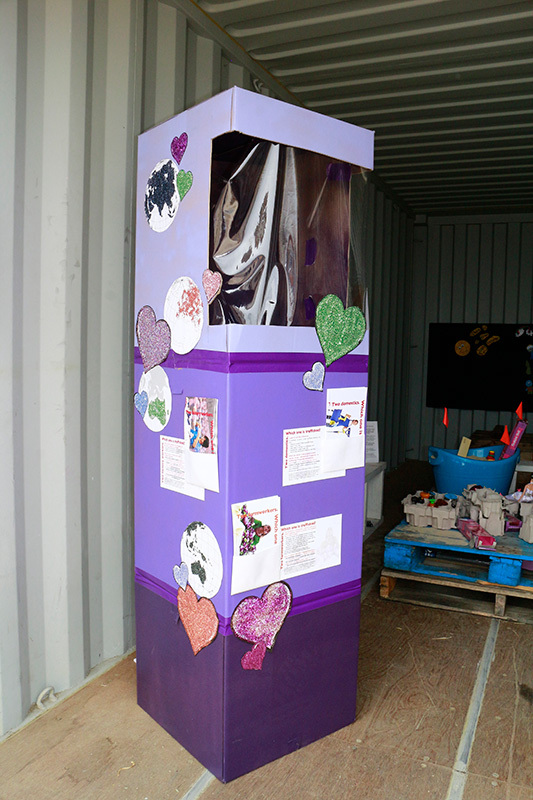 This artwork acts as a hub for “Referendums” the Team has developed to ease the occurrence or severity of human trafficking. Click here for Katelyn Dorroh artist bio.